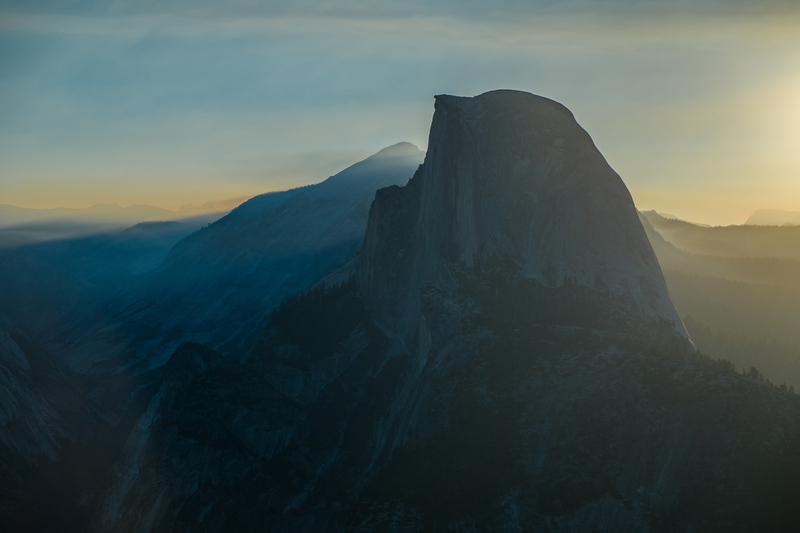 There’s no other place in Yosemite that is as accessible and as spectacular of a view Glacier Point. 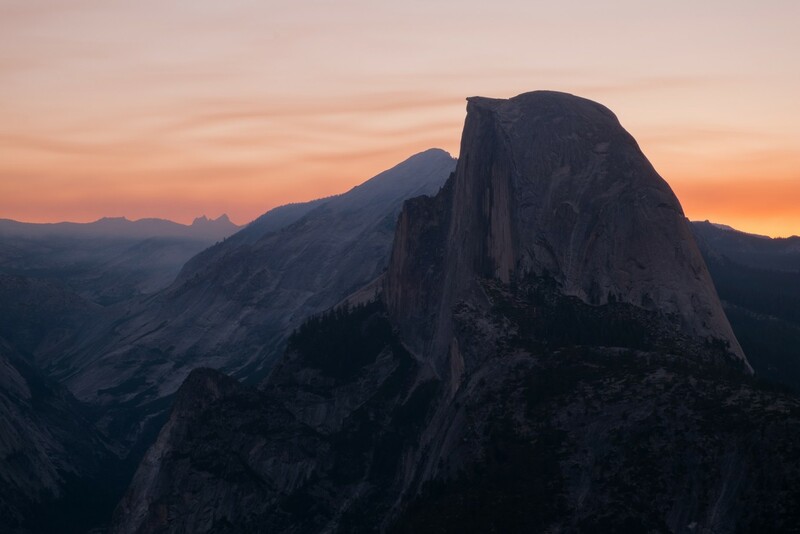 A 40-minute drive from the valley, you get a direct line of sight of Half Dome, Cloud’s Rest and other peaks in the park. I knew I wanted to get a sunrise shot from here and wanted to be here before the crowd comes in. I left the cabin at 4AM and quickly make my way up to Glacier Point Road. 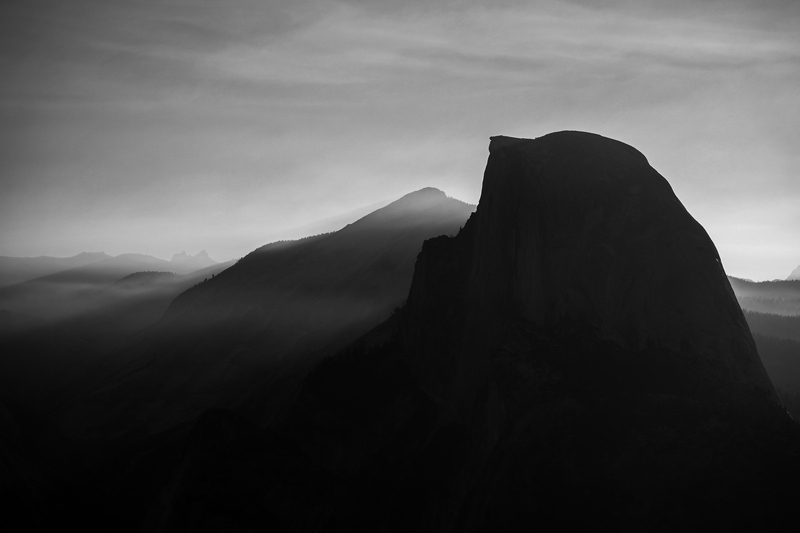 Just before the point, there’s hairpin turn with an unguarded bank overlooking Half Dome. I pulled over the side of the road, grabbed my camera, tripod, and headlamp to make my way to the bank. The sky was still dark, stars were still visible, and the moon up high; while far away in the horizon, a thin layer of yellow light starts to show behind the mountain ranges. I took a quick 30-second shot to try to capture both the stars and the light in the horizon. Once getting my shot, I head over to Glacier Point to get set up before the sun comes up. The sky was getting lighter. Set up my tripod on the viewing area, camera pointed straight to Half Dome. And start taking a few shots at some interval, some long exposures. 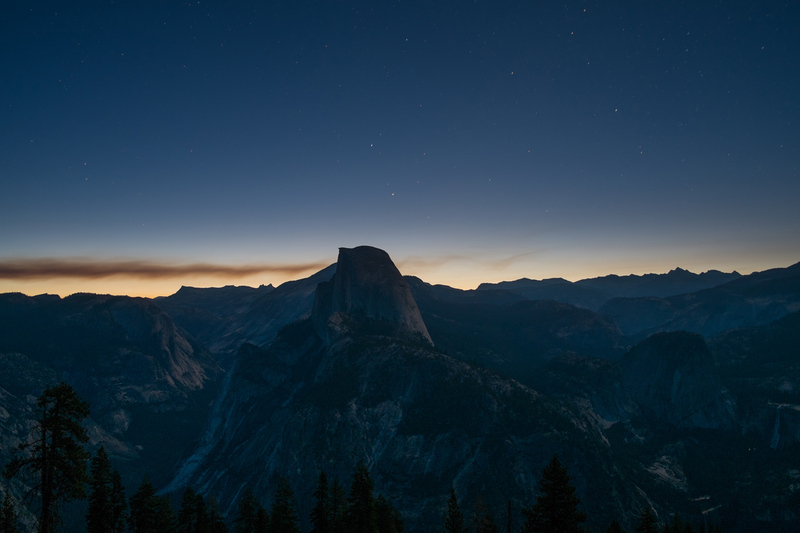 I keep taking a few exposures until the sun starts to come up, the color of the sky changes, the blinding sunlight starts to masks Half Dome. The flare from the sun was overwhelming, so I opened my aperture as wide as possible to f/4, and the sun becomes much softer and less refractive. Ryan Prawiradjaja is a part-time nomad who enjoys traveling to distant places, hiking national parks, and sharing photographs or stories from those places. On occasion he also enjoys running and various outdoor activities, including rugged beer drinking and competitive chilling.He is based out of the San Francisco Bay Area, but has lived in exotic places like Indonesia, China, and Iowa.